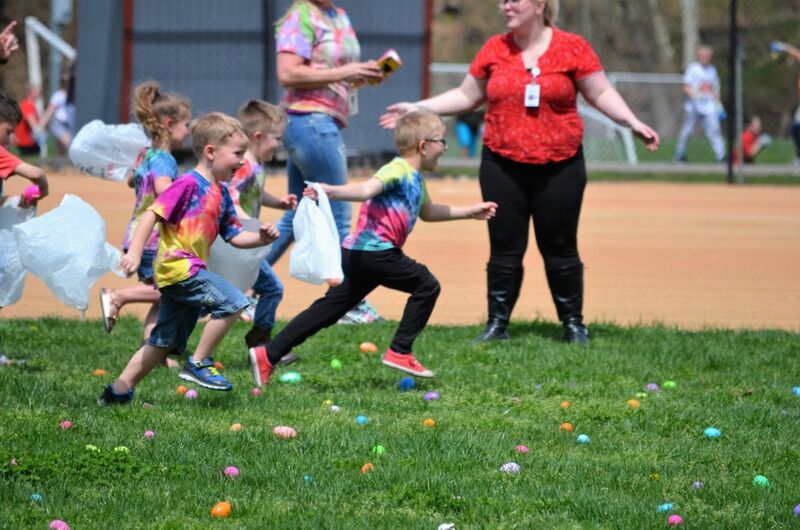 Dozens of preschoolers - dressed in shirts as colorful as the Easter Eggs scattered across City Park grounds - were excited to leave the classroom on a prestine Thursday afternoon. The occasion was the school's annual Easter egg hunt for the Pre-K classrooms. Following the hunt, the students were treated to snacks and drinks at the park. Family members, including plenty of parents and grandparents, attended and joined the fun. JES Principal Vicki Huffman said she loves it when family members can spend part of the school day with the students. The tye-died shirts worn were made in the classroom. On the back of each was "Team Stump." The event was dedicated to JES Pre-K teacher Nicki Stump who is battling cancer. Read more about her HERE. See photos at the gallery link below. Reminder: The City of Bridgeport Easter Egg Hunt for children age 5 and under is Tues., April 16, at Bridgeport Recreation Complex. Read about it HERE.